Joyce Mabel Fisher (Engen) of Littleton, Colorado passed away in her home on March 18, 2019. Joyce was incredibly vibrant, lived on her own, and was as sharp as ever until the very end. Sadly she experienced a sudden cardiac event despite not showing any symptoms. She was extremely active in many clubs, groups and most importantly her church. She loved music, making cards/stamping, bargain-hunting and traveled the world. Joyce was the ultimate hostess and enjoyed doing for others. Joyce was born January 6, 1931 to Arthur and Mabel Engen on the farm near Lamberton, Minnesota. She joined big brother Arlowe and was born 10 minutes ahead of twin brother James. 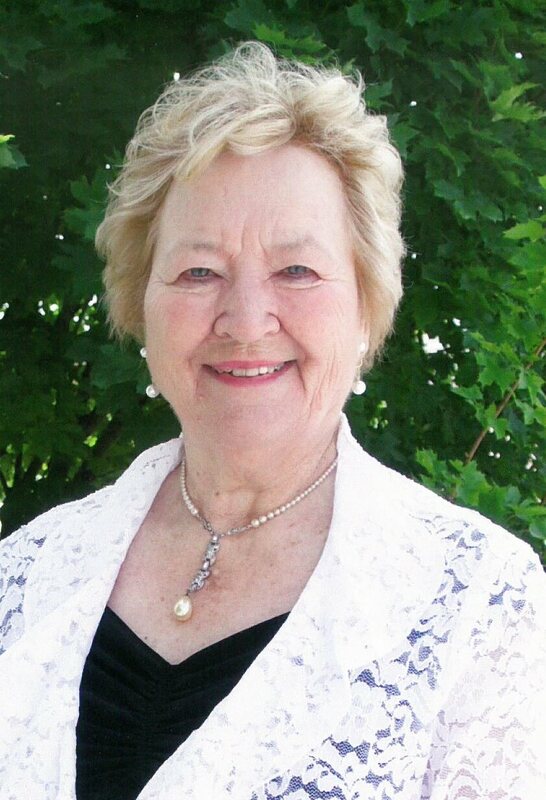 Joyce received her Bachelor of Science Degree in Education from Minnesota State College in 1960. She taught elementary school for over 20 years primarily in Colorado, but also taught in Minnesota and South Dakota. Joyce’s marriage to George A. Fisher, Jr. on June 24, 1961 took place at Highwater Lutheran Church in Minnesota. Joyce was preceded in death by her parents Arthur and Mabel Engen, husband, George A. Fisher, Jr., brother Arlowe Engen, sister-in-laws Audria Engen and A. Susan Benton and niece SueAnn Benton. She is survived by her children, Linda (Jon) Schinnow of Concord, California, Patty (Dallas) Eckhardt of Goodland, Kansas, and Gear (Shana) Fisher of Bellevue, Colorado. She is also survived by her twin brother James (LuEtta) Engen, brother-in-law Glenn Benton and several nieces and nephews. Joyce will be missed by her grandchildren Payton Fisher, Kendal Fisher, and Billy Eckhardt. Interment Monday, April 1, 2019, 10:00 am, Fort Logan National Cemetery, area A. Memorial Service Monday, April 1, 2019, 11:00 am, Atonement Lutheran Church, 6281 West Yale Ave., Lakewood, CO 80227. Please share your memories of Joyce and condolences with her family by signing the guest book below. I am so heartbroken to hear the news. Your mom has been dear friend with a heart of gold. I plan to see you at the funeral. Your mom will be forever in your hearts, your smiles and your thoughts. May her great faith bring you comfort, as you know where she is and that you will see her again! Our deepest condolences and love to you all. What a wonderful life she led, and what a legacy she leaves behind. Hugs! Joyce is one of most delightful people I have ever met. She was joy to be around and will be remembered and missed. My deepest condolences. Joyce was a wonderful friend who always had a beautiful smile for everyone. I really miss seeing her at church and other social events. I find comfort in knowing God is taking good care of her.